We don't have air conditioning at our house. Most of the year, we don't really need it anyway. But for about 2 weeks out of the year, the summer heat would get unbearable especially in the rooms on the second floor. 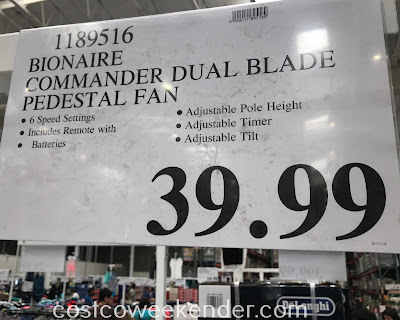 And that's where we need to find cooling solutions like the Bionaire Commander Dual Blade Pedestal Fan. 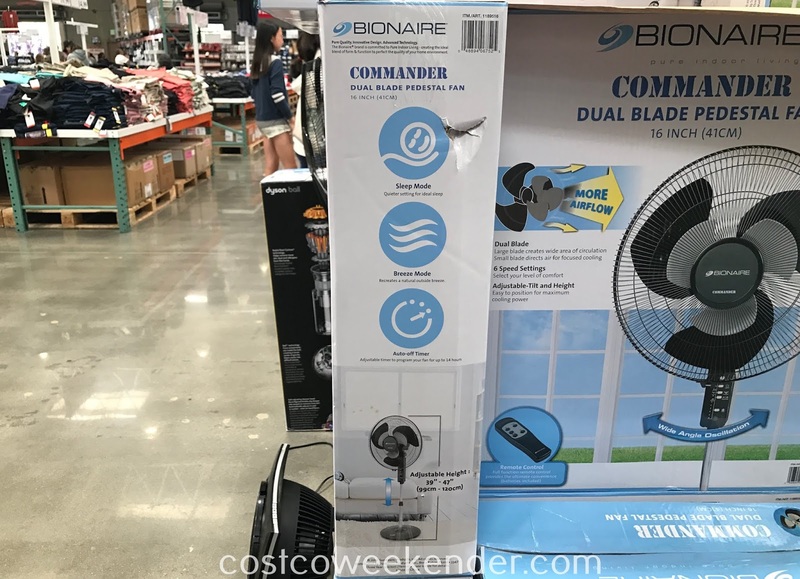 The Bionaire has 2 blades for increased airflow. 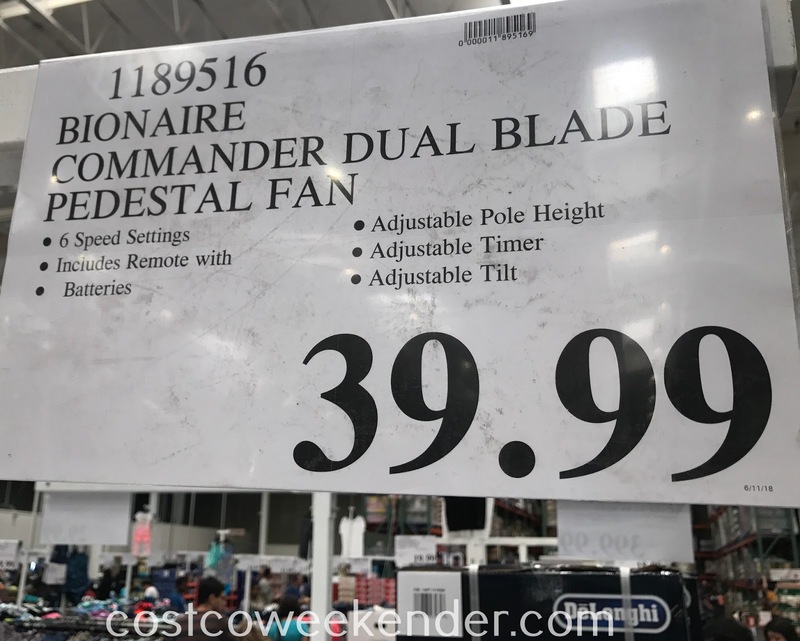 The large blade creates a wide area of air circulation while the small blade directs air focused cooling. And where you position the fan can have a huge impact on how cool the room gets. 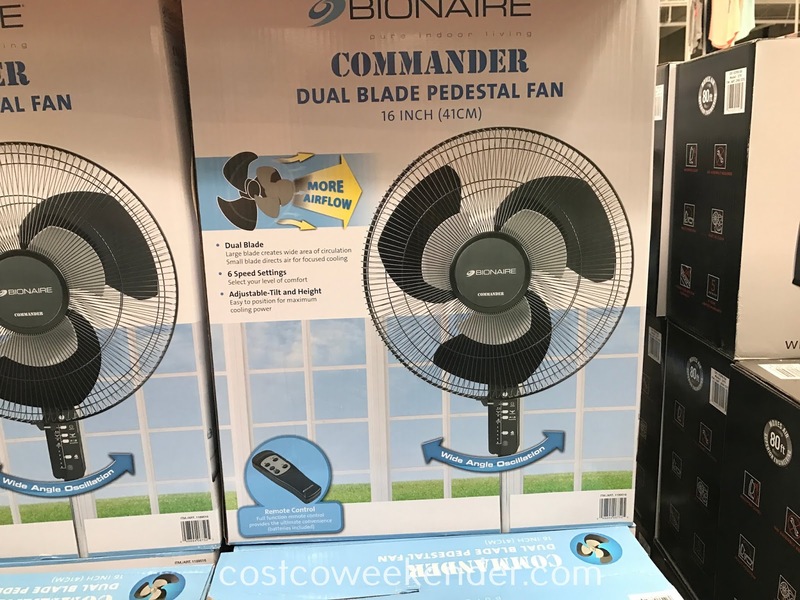 Ideally, you want to have a fan blowing in cool air from the outside and another fan blowing warm air from the room outward. This will keep the air circulating throughout the room. When the fans are placed properly, you would be surprised with how effective it is when cooling a fairly large room. 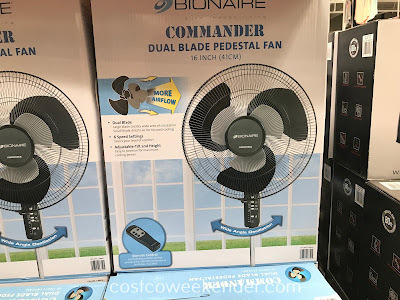 With summer upon us, better get some cooling power like the Bionaire Commander Dual Blade Pedestal Fan. Bionaire Pure Indoor Living: Pure Quality. Innovative Design. Advanced Technology. 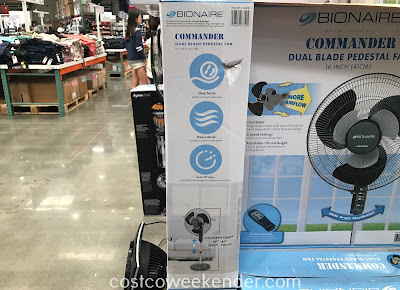 The Bionaire brand is committed to Pure Indoor Living creating the ideal blend of form & function to perfect the quality of your home environment.